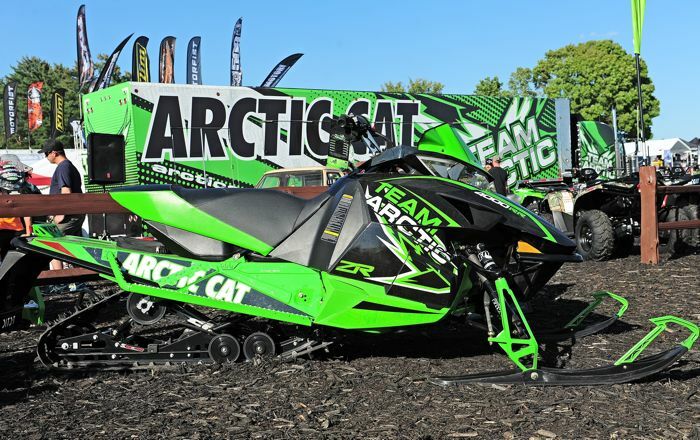 Over the summer, Arctic Cat engineers gave some additional race-focussed love to the 2015 ZR 4000 RR. I already had a lot of love for the pre-production ZR 4000 RR that I reviewed last spring. The recent improvements indicated here have undoubtedly made this a better race sled (and high-performance romper-stomper). In other words, more love. 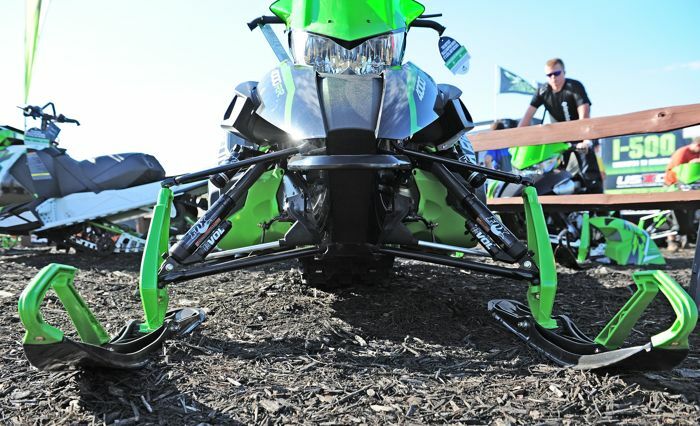 Love the improvements but the sled must have reverse! SnowFan: No, the 6000RR does not get these additional updates (like the TEAM secondary). Daron: You can put an accessory reverse kit on it. Looks like Cat is matching the newly released 6-R XC and the 4-RR chassis which makes sense as both will see a majority of action in the XC race circuits. I, for one, am glad to see this. Following the release of the new 6-R XC at HayDays, Cat is obviously moving towards using beefed up consumer chassis for cross country racing while retaining the "race" chassis for sno-x. I hope the extra bracing and supports do in fact add structural stiffness to these 2 sleds and that is the most noticeable item on the ProCross sleds that I can say I dislike. With these new improvements, it just adds more for the trail riders who like the race-style chassis on the trails. Why are all the RR's not getting these updates??? I've got a 6000RR on order and am not real happy that these updates are only happening to the 4000. At this point the 6000RR is starting to like like a really expensive Sno Pro with better shocks. CatHead12, I'm going to go out on a limb and say the reason only the 4-RR is getting these updates is because of the niche that it fills for racing; hence the reason the 500 SP was produced previously. For the 600 class "racing" use, the newly released ZR 6000 R-XC would fit those needs, and gets these upgrades plus the better skid. So, after all of this, has the RR indeed become a "really expensive Sno Pro with better shocks" ??? I say no ... even between the SP and RR there are a bunch of upgrades on the RR beyond just the better shocks: beefier rails, heavier front and rear arms, different geometry in the skid, more bracing in the chassis, light weight brake disc, better brake pad materials, and a tether switch (I know, most don't care about the tether) just to name the ones that come to mind right away. I've been out of the loop on this sled and now see some of the benefits over the LXR for rough trail riding. I actually just saw the Team clutch on the 4RR, today at dealer's shop. I was surprised and the shop tech, thought I was a dummy.... A belated thanks John!